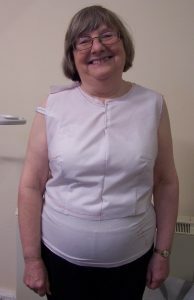 Although there were two ladies booked into the Dressmaking Part 2 workshop on Saturday, only 1 turned up so Hilary was fortunate to have one-to-one tuition. As there were a few “tweaks” required to perfect the fit of Hilary’s toile we busied ourselves with that for a couple of hours. We re-drafted the pattern and whilst Hilary ate lunch I sewed a new toile bodice so that we could double-check the fit after those tweaks had been made. Finally we had a really good-fitting toile bodice to use when making up the New Look dress pattern. Hilary had chosen some pretty Turquoise cotton fabric which had a non-directional print and this made pattern placement easy. 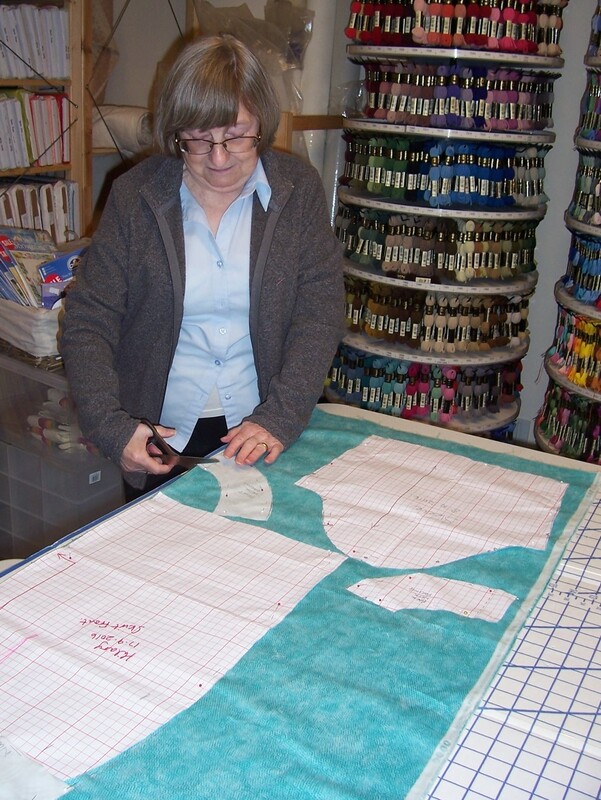 The dress was cut out and darts etc., marked with a Frixion ® pen. By this time having experienced a “full-on” day of tuition Hilary decided to quit whilst ahead. Armed with the workbook that I had produced to accompany the class, Hilary will now complete her dress in easy stages at home. I look forward to hearing how she gets on and seeing a photograph of the completed garment.